Children and Young People are really important to us at Oaks, and so we are endeavouring to up our game and do even more for them during 2019. 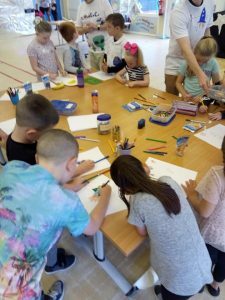 Oaks employs a Children’s Worker, the wonderful Katie Whitehead from Divine Days who runs after school & lunch time clubs in Delph side School and Holiday Clubs as well as a weekly Saturday morning club for families. New for January 2019 are our Forest Church which has a real family feel, and monthly Youth Nights at Oak House. To make all this possible we need your help – can you give financially? can you volunteer? For more information about how you can help, please click here.